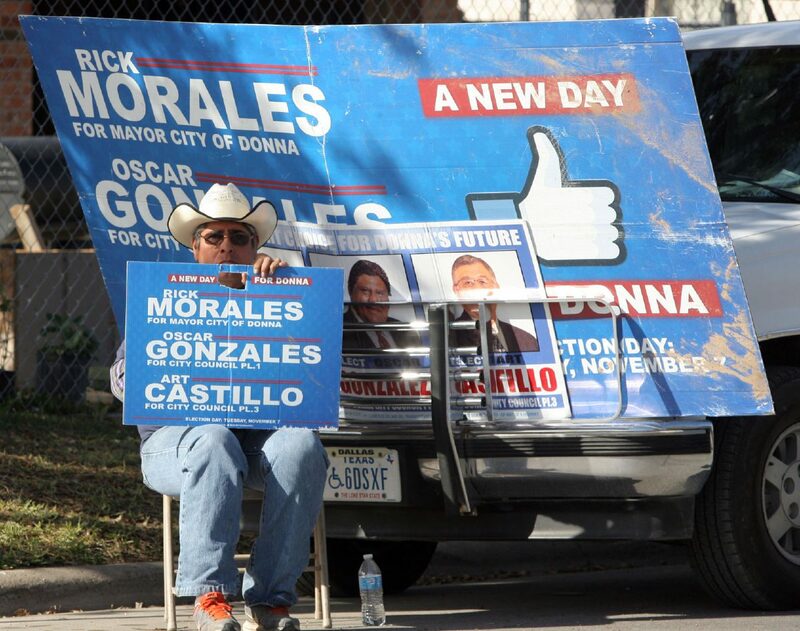 A campaign sign for mayoral candidate Rick Morales is seen Tuesday, Dec. 12, 2017, in Donna. DONNA — Former Mayor Rick Morales landed back in the driver’s seat of the city council. 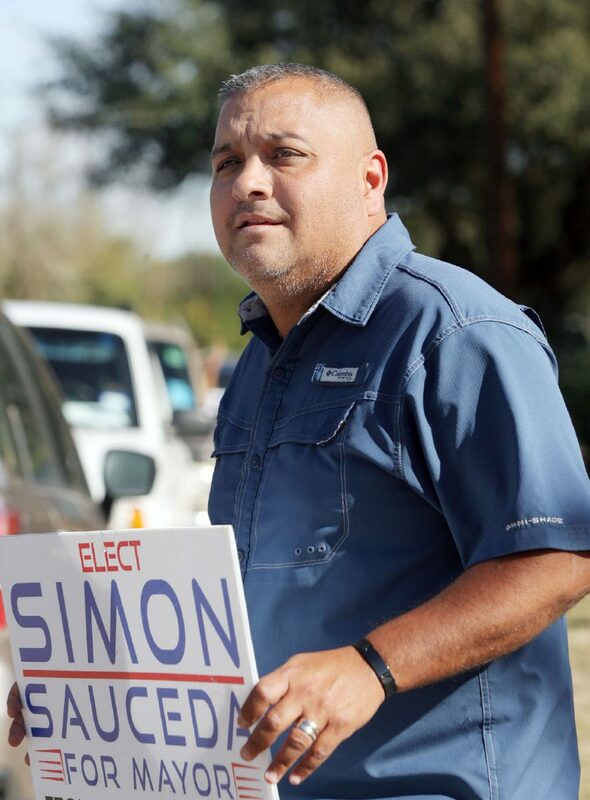 Morales on Tuesday defeated mayoral candidate Simon Sauceda by 176 votes in the runoff election. Sauceda served as council member for nine years before launching a bid for mayor earlier this year. Along with Morales, voters also opted for his running mate Arturo Castillo for Place 3 council member. Castillo secured 137 votes over his opponent Guadalupe “Lupita” Bueno. A campaign worker is seen with signs at the Donna Recreational Center on Tuesday Dec.12,2017, in Donna. Candidate for Mayor, Simon Sauceda campaigns at the Donna Recreational Center on Tuesday Dec.12,2017, in Donna. “I want to go talk to all the city employees, (and) let them know, nobody’s going to get fired,” Morales said when asked about his priority. Morales will take current Mayor Irene Muñoz’s spot on the council once he’s sworn in as early as this week. 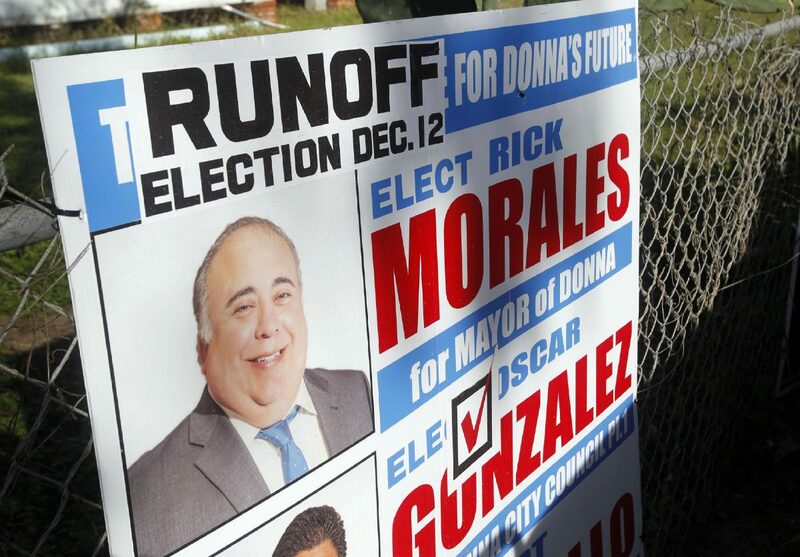 Muñoz wanted a second term as mayor, but did not make the runoff. During the height of the campaign, former mayoral candidate Ernesto Lugo was told he was ineligible to become mayor because his home sits outside city limits. Lugo ended up taking the city to court, but a judge ruled there was not enough evidence to show he resided within city boundaries. Lugo ended up supporting Morales after ending his campaign on Oct. 31. The current council successfully lowered the tax rate from $1.25 to 77 cents over the last few years — a success Sauceda highlighted throughout his campaign. They also raised the city’s credit rating from a D-minus to an A-plus, he said. Sauceda said he hopes Morales continues the progress and direction in which Donna is headed economically. Morales, Castillo and Gonzales will soon have to look at hiring a permanent city manager with interim City Manager Ernesto Silva expected to leave the position at the end of the year. The three will have a say in who will lead city hall next. Donna has not had a permanent city manager since the council chose not to renew former City Manager Fernando Flores’ contract, which expired on Dec. 31, 2015. The city has seen seven different city managers, including those serving in the interim, since 2003. Castillo, who previously served as a member on the Donna ISD board of trustees from 1989 until 1992, will serve as a council member for his first time. He set a handful of priorities: street improvements, attracting businesses and fairness at city hall. Currently, Love’s Travel Stop, Marshalls, Ross, another Circle K and other businesses are slated to open in Donna. Though there seems to be a new shift in power on the council, Morales and Castillo agreed to work hand in hand with everyone, including other council members. “We are going to work for the people and make this community go forward,” Castillo said. Morales mirrored Castillo’s sentiments about divisiveness and said he will seek to unify the council.